This is a rejuvenation of the lists we used to do in the early days of the site. I’m trying to get every year up in this category, so this is a look back five years at 2010. The following years (’11 and ’12) will be available soon, and 2015 will go up in January. 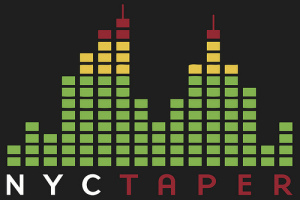 That will complete a full listing of the entire NYCTaper archives and make available every recording in our history only two clicks away. Again, don’t take this as an invitation to download massive quantities of recordings. If I find someone downloading 10 or 20 shows at once, I’ll block your IP address. Damn we made a lot of recordings that year! 242 may be the most in any calendar year. I haven’t finished all of those numbers, but its more than any other year where the total is already compiled.